My name is Shaun and I currently run music blog Gold Sounds, also share new bands here and you can find me tweeting about all sorts here. When I was 17 I tried my first beer in the form of Carlsberg and I spent my late teens and early 20s hating beer. However, when I left University something changed. I mean lots of things changed, but more so my attitude towards ale and beer changed. I was in a Wetherspoons (judge away) and I only had £2.30 on me and needed to kill some time. So the only alcoholic drink I could find was an Abbots Ale and then I was hooked. Since then I’ve found myself obsessed with all types of different beer including Belgium beer, Pale Ale, Porter and so on. Obsessed with beer I now collect beer bottles much to the displeasure of my girlfriend, who isn’t such a fan of beer or the hoarding habit I’ve developed. This blog is just a place for me to share what beers I like. I don’t claim to know everything about beers and I certainly have no idea about any technical terms but I know a great ale when I taste one. You can expect some beer reviews, pub recommendations and lots photos of bottle tops, beer mats and interesting bottles I find. 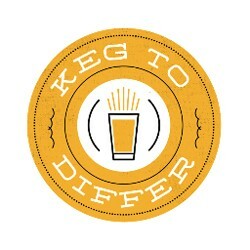 If you wish to contact me then the best way to do so is on kegtodiffer@gmail.com or you can find me on Twitter.